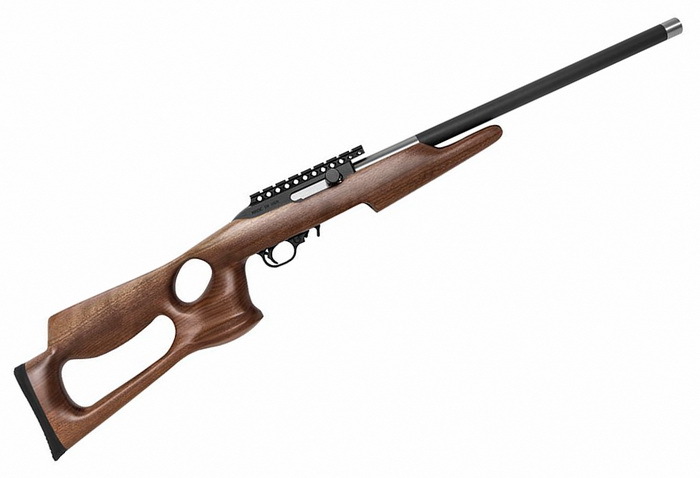 The 22LR Barracuda American Black Walnut Rifle's patented graphite barrel is unique to Magnum Research, Inc. It provides lighter weight, better heat dissipation than steel and is extremely stiff. MAGNUM LITE® receivers are CNC machined from a 6061-T6 aircraft aluminum forging and include an integral Weaver type rail for optics. The bolts are manufactured and machined from heat treated 4140 steel with tight bolt face depth tolerances for better accuracy. Weight: 4.33 lbs. / 69.3 oz.